As camp directors we get to see so many acts of friendship and kindness each summer. Because most of our campers return year after year, we regularly have the opportunity to see how they grow, evolve, and enrich the lives of our community members during those *other* ten months of the year at events like our reunions, parties and winter weekend in NH. 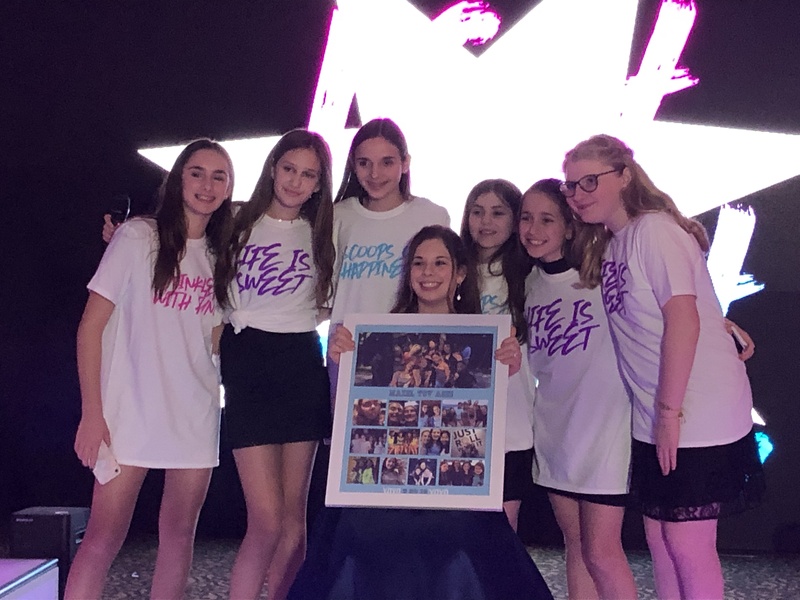 On Saturday we were at a camper’s bat mitzvah in Westport, CT, and were pleasantly surprised when a group of Evergreen campers suddenly took to the stage and commandeered the microphone. The entire room of 200 or so guests stopped what they were doing and watched as 6 teenagers stood in front of them and publicly expressed their love and respect for their friend. AThey took turns explaining why she was important to them, how much their friendship meant to all of them, and then presented her with a homemade collage of their favorite photos together. They even read a speech written by a friend who was unable to be there celebrating with them. On display was so much of what our overnight camp community is all about: demonstrating kindness, taking a risk, being emotionally available, and valuing important relationships you have cultivated each summer of your childhood. It was an amazing moment to watch, and a beautiful display of Evergreen sisterhood.